I came upon the Bluebird Music room which was shared with retailer Soundstage Fine Audio. 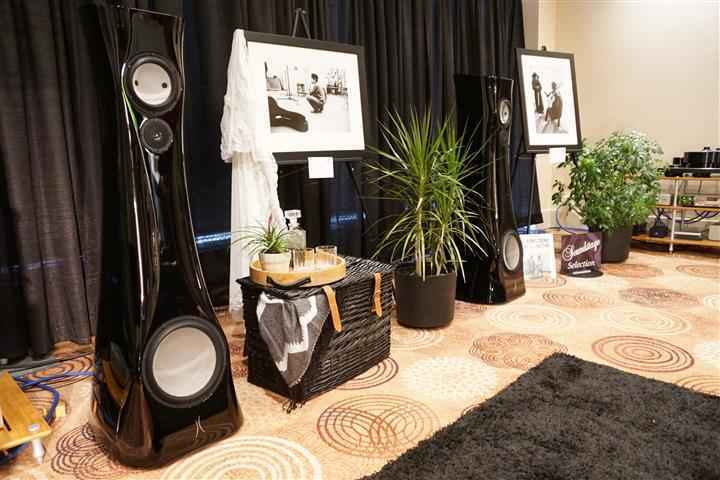 This room featured the Estelon XD loudspeakers ($79,000/pair) and was probably the most inviting and comfortable room at TAVES – with couches and lovely décor that included plants, wicker, photos, a shag rug and a crystal decanter that was still half-full. 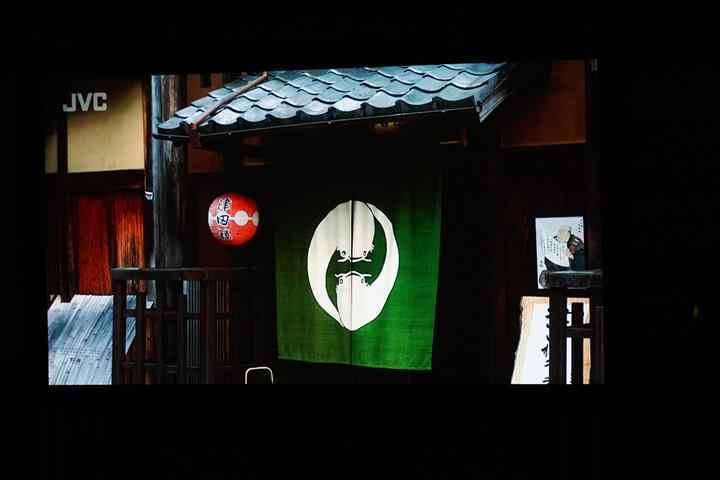 Besides the amazing room, the sound of the system was entrancing, having a natural yet detailed character. 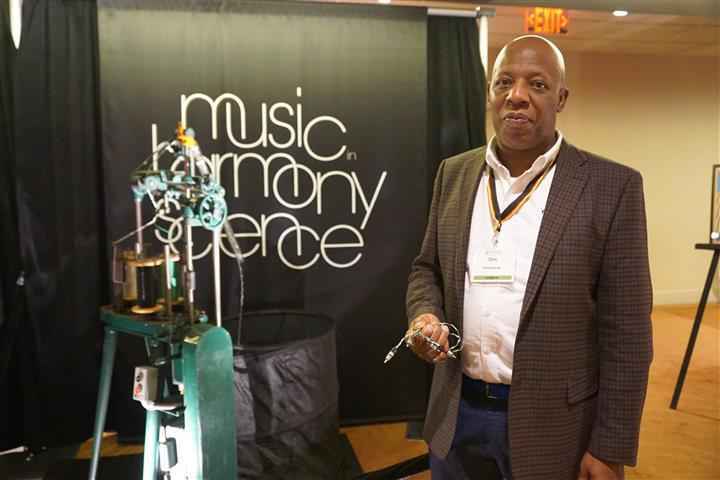 The analog source was a Brinkmann Balance turntable with a 10.5 tonearm ($35,000) and a Benz Micro Ruby cartridge ($4,000). 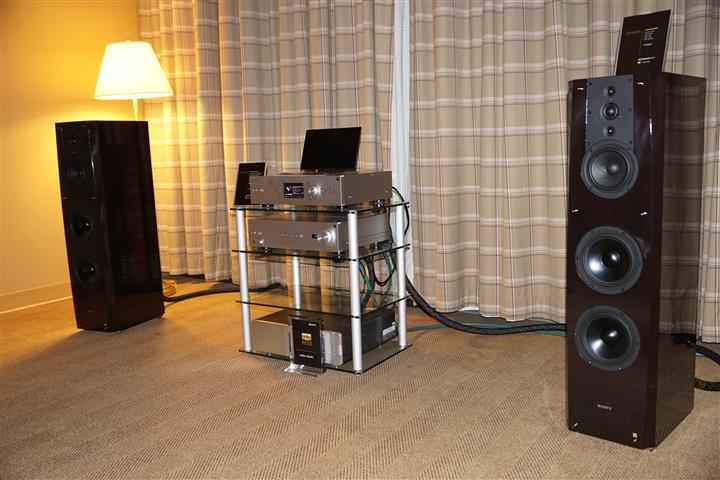 Amplification was by Ayre Acoustics: the KX-R Twenty preamplifier ($27,000) mated to two MX-R Twenty amps ($30,000/pair). A Burmester phonostage ($20,000) and adeptRespone power distribution ($2,800) were also in play with a full Cardas Clear cable loom ($20,000). The digital source was no slouch, being an Accuphase DP720 SACD ($18,000). 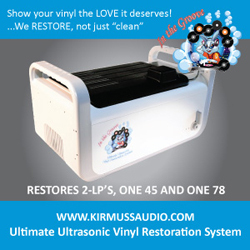 I ran into Don Rhule, owner of Kimbercan, the distributor of Kimber Kable and System Audio in Canada and most recently, Neat Acoustics and PS Audio. 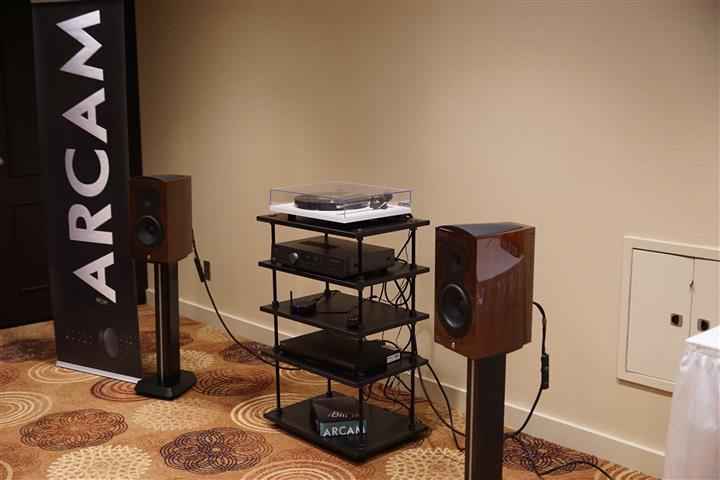 The Kimbercan room was featuring the Neat Acoustics Momentum SX3i bookshelf loudspeaker ($4,495), when I visited; sourced and powered by a Naim SuperUniti ($6,595) and leashed with all Kimber Kable, including 4TC speaker cables (8ft, $300/pair). The sound was musical and full with lots of detail that just oozed comfort. I can’t say it was neutral, there was some extra girth to the bass but this weight was amazing from rather compact bookshelf speakers. I’ve gotta say, my first audition of Neat Acoustics will not be my last. 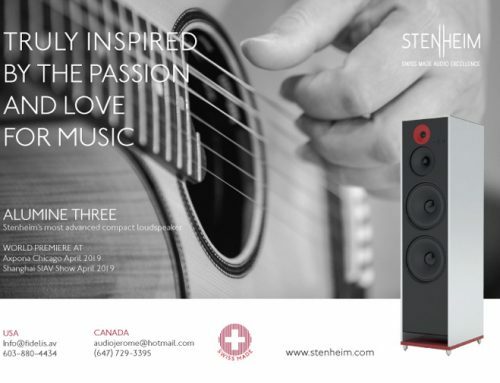 Some of the other Neat Acoustics models in the room were the Motive SX1 Tower ($3,295), the SX2 Tower ($2,495) and the Motive SX3 ($1,995). In addition, Don himself took me over to what appeared to be an ancient machine, which was in the process of braiding some Kimber Kable. Not ordinary Kimber Kable but rather, Special Edition TAVES 2014 PBJ RCA in TAVES green, white and black dressing. 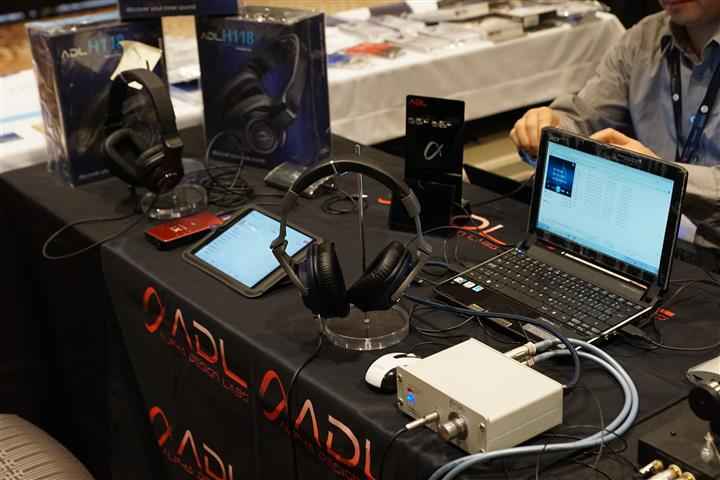 Alpha Design Labs (ADL) / AuDIYo Inc.
ADL by Furutech products were setup with AuDIYo Inc., the Canadian distributor of Furutech and other high end audio products. 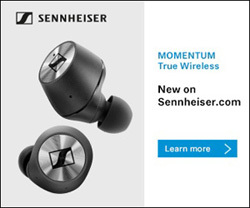 I’ve had much experience with ADL and own a pair of their H118 headphones, their EH008 in-ear monitors and an Esprit DAC/preamp, which is why I was excited to see a new headphone product from them, the H128 headphone ($540). The H128 looks much like the H118 ($269) but takes everything up a notch. The structure feels more solid, the finish is finer with three colour combinations, it has a leatherette headband and the drivers, rather than being select off-the-shelf are designed by Furutech. Listening to them, back to back with the H118, powered by an ADL X1 ($499), I could very easily tell that all the best of the H118 was taken to a higher level with the new H128. 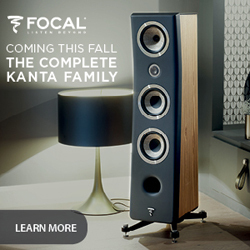 I was impressed enough that I’ve already requested a set in for review – watch for it in an upcoming issue of the CANADA HiFi Magazine. 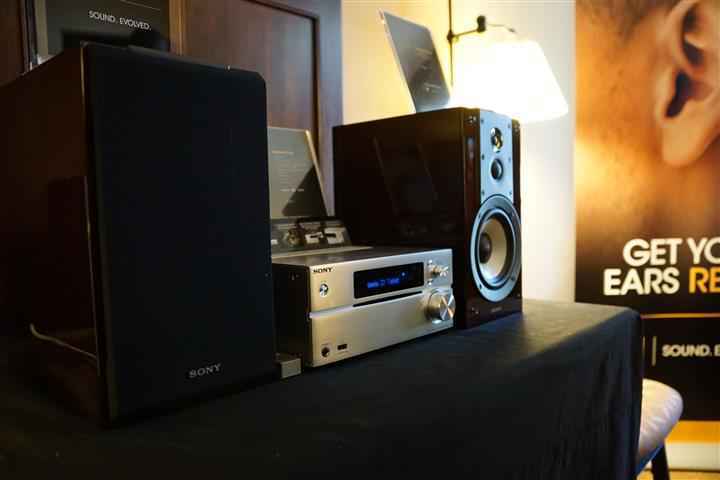 Sony had the most significant presence to date at TAVES – showcasing all of its big guns, including home audio, portable audio, video and digital photography products. On one of the higher levels of the show, Sony had three rooms beside each other. 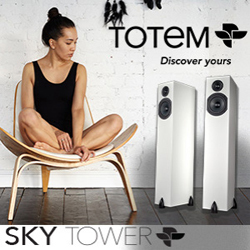 The first featured their ES floorstanding loudspeakers SS-NA2ES ($11,000/pair) with the HAP-Z1ES 1TB HDD Hi-Res Player ($1,999) powered by the TA-A1ES integrated stereo amplifier ($1,999). 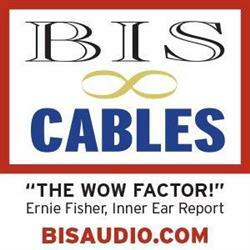 Wired up with Kimber Monacle XL speaker cables, this system punched well above its price. A demo of Lorde’s album had me smiling cheek to cheek. 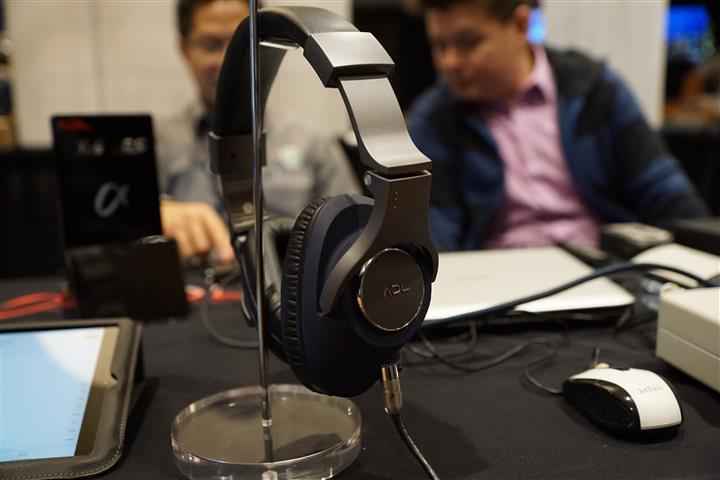 The next room over was showing off Sony’s portable and desktop audio products. Here on display was the SRS-X9 Table Top Hi-Res Stereo with a built-in DAC, AirPlay, DnLP and Bluetooth capability ($699). 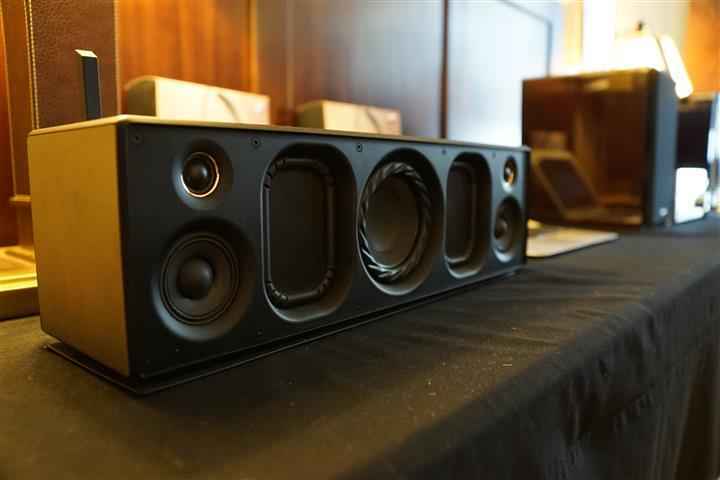 There was also the SS-HW1 Hi-Res bookshelf speaker ($499) and the MAP-S1 Hi-Res Multi Player ($799). 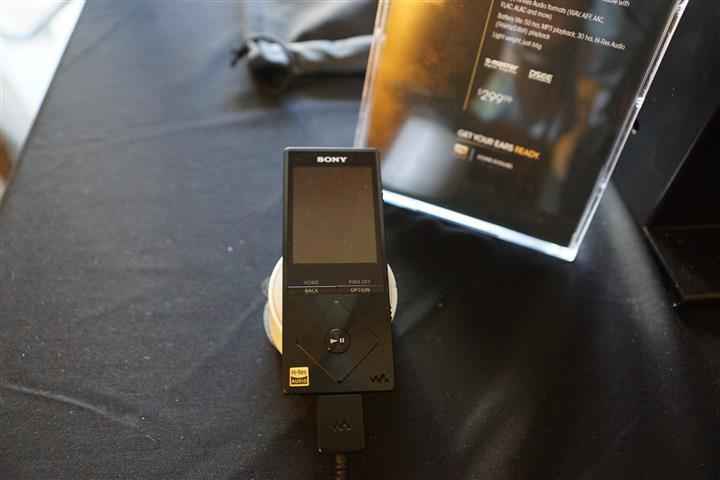 And not to be missed was the Sony Hi-Res Walkman ($299). Below is the Sony MDR-Z7 Hi-Res Stereo Headphone with 70mm drivers and balanced cable connections $699.99; shown off with a Sony designed, Kimber Kable built, upgrade cable – the MLK-B20BLI ($299). 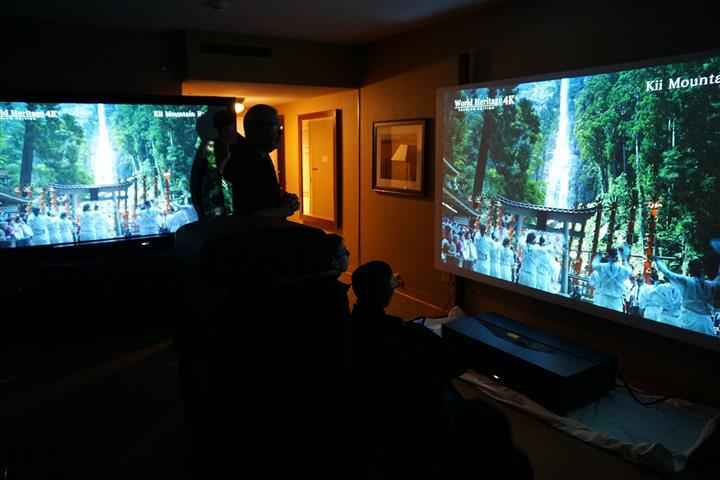 Within the last room Sony had a dual projector presentation running. Featured was their rather revolutionary Short Throw 4K VPL GTZ1 projector ($55,000, requires a throw distance as short as five inches away from the wall!) 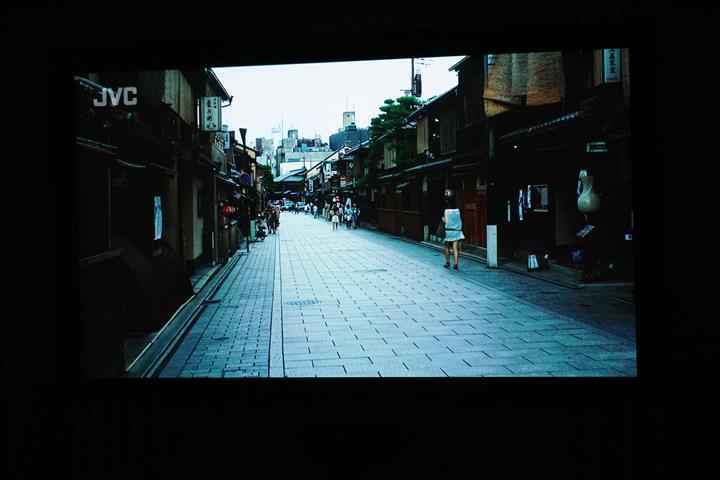 This projector was casting a 130″ image on a screen, while capable of up to 147″, and had amazing image quality. In addition, a second Sony projector was in play, a new model, the VPLVW300ES – their entry-level SXRD 4K projector and purportedly, the smallest 4K projector on the market, at $10,000. Walking within the Headphone Zone, I came across a friendly gentleman who introduced himself to me as Peter Janis, President of Radial Engineering. 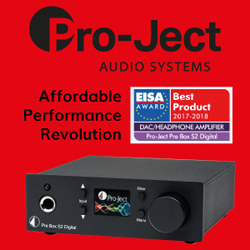 The products I could see seemed to be professional but as I drew closer I did recognize a couple names including: Primacoustic, a company I’ve become familiar with due to their affordable room treatment products and Hafler, an older brand that I understand Radial has acquired and is now relaunching with some headphone amplifier / DAC models. 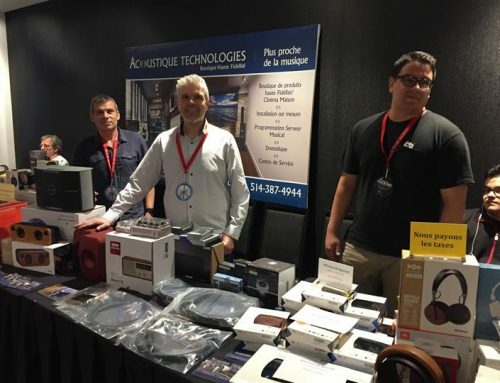 Radial is a manufacturer of professional audio products based in British Columbia but had begun crossing over into the consumer product segment with Primacoutic and Hafler. Moon media is a digital advertising solutions company that specializes in holographic media. The company is mainly involved in commercial applications of digital media for advertising, conferences, trade shows, etc. The Holocube HD70 3D holographic projection unit could not be missed. Moon Media handles the animation development and the 3D rendering in-house for its clients. 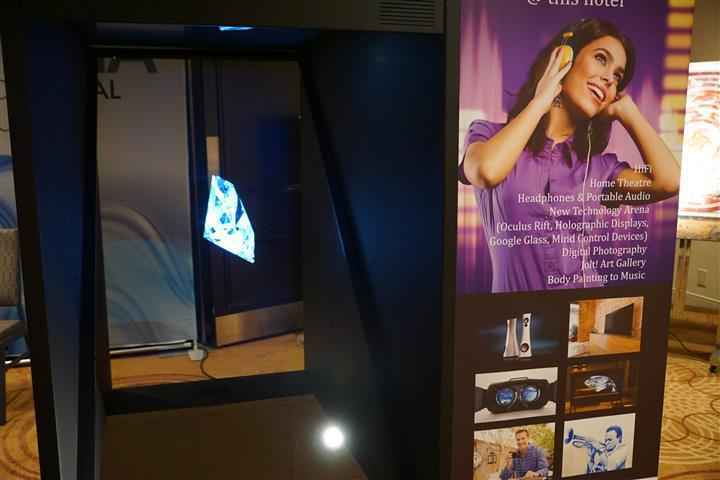 The Holocube uses a single internal LCD 4K screen with a 45-degree angled sheet of tempered glass and special filters to create stunning 3D moving images. 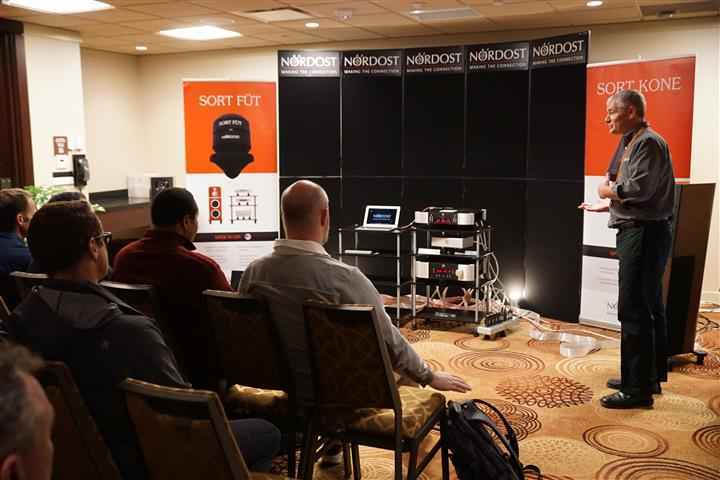 I had a chance to sit in on a couple demonstrations in the Nordost room, giving my feet a well deserved break. I’m very familiar with the benefits of high quality cables and use a full Nordost Heimdall 2 loom with my reference two-channel setup. 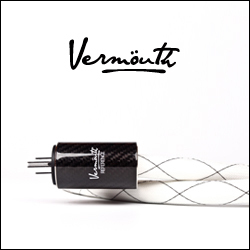 That being said, I always find the Nordost demonstrations to be an “ear-opening” experience. Michael Taylor from Nordost demonstrated the significant sonic benefits of replacing an OEM cable with a Nordost model – in particular 1) a swap of a single USB cable, from OEM to Nordost Blue Heaven ($250/2m), to Heimdall 2 ($500/2m) and; 2) a swap of a single RCA interconnect, from OEM, to Blue Heaven, to Heimdall 2, to Tyr 2 and finally Valhalla 2. Along with convincing the audience in the room that cables DO matter, I’ve now got the bug to upgrade. 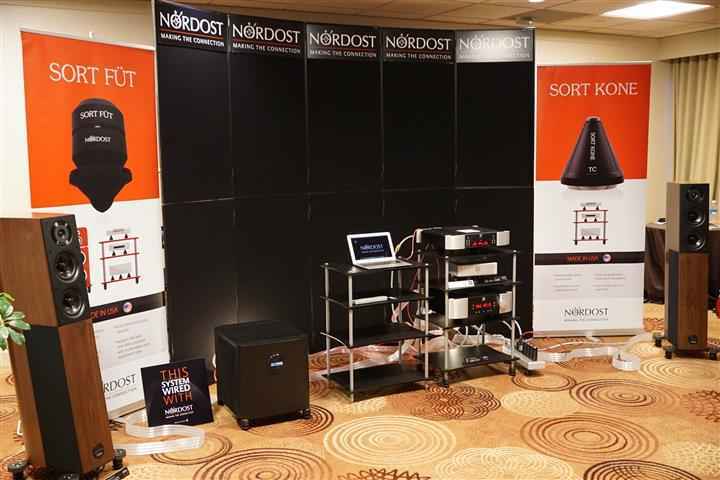 Along with the Nordost demonstration room, Nordost hosted a booth on the main show floor where visitors could purchase cables. 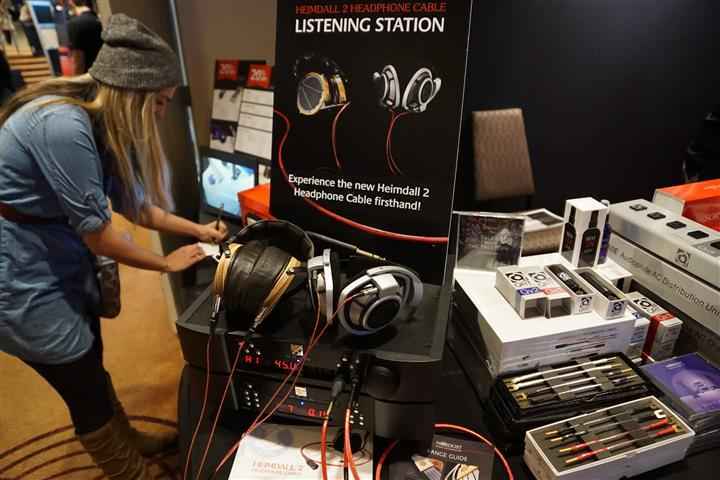 There for audition was also the relatively new Nordost Heimdall 2 Headphone Cable ($799), connected to both Sennheiser and Audeze headphones. And, let not forget the ballot box for a chance to win a Nordost Blue Heaven interconnect – I was happy to see a young lady taking advantage of the opportunity. 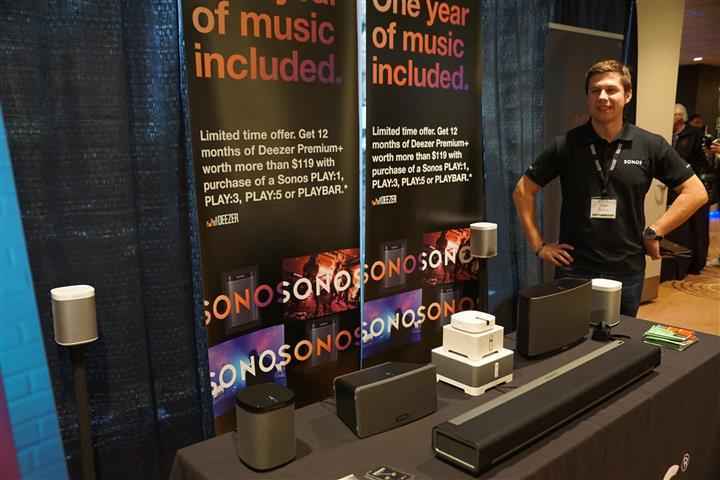 SONOS had a booth at TAVES with a full array of their products. SONOS products allow users to set up distributed wireless audio in a home, office or other location. They have a 32 room /speaker capability – meaning that you can have up to 32 different playlists / songs going at the same time, while retaining the ability to control each individually via the SONOS app for Android / iOS. SONOS has also partnered with 32 different music streaming services, providing an alternative to listening to your own music library. Users can leverage their own network or for greater range and performance use the new SONOS Boost $109 to setup a dedicated Sonos network. Along with allowing mono and stereo setups, the Boost can allow users to wirelessly connect with SONOS speakers for an immersive 5.1 surround sound setup. The latest and greatest of the SONOS products is their Playbar ($749), which is a wireless soundbar product that incorporates 9 drivers with 9 individual amplifiers setup in a vibration cancelling arrangement that provides, clear, low-distortion sound. 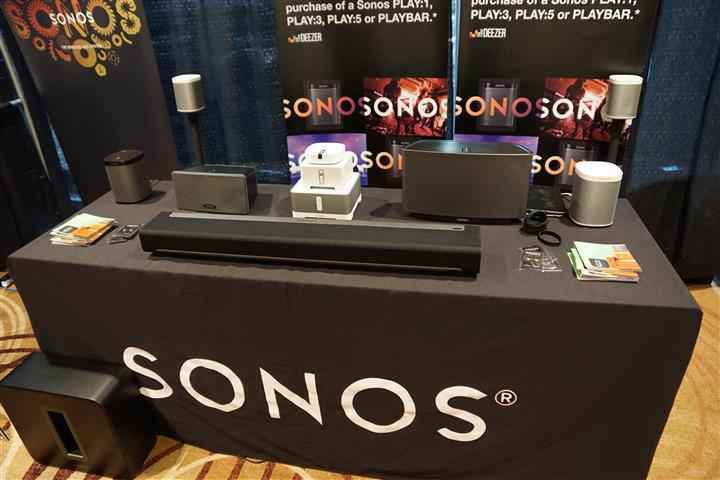 Other SONOS products on display were their Play 1 ($219), Play 3 ($329), Play 5 ($449) and SUB ($749). 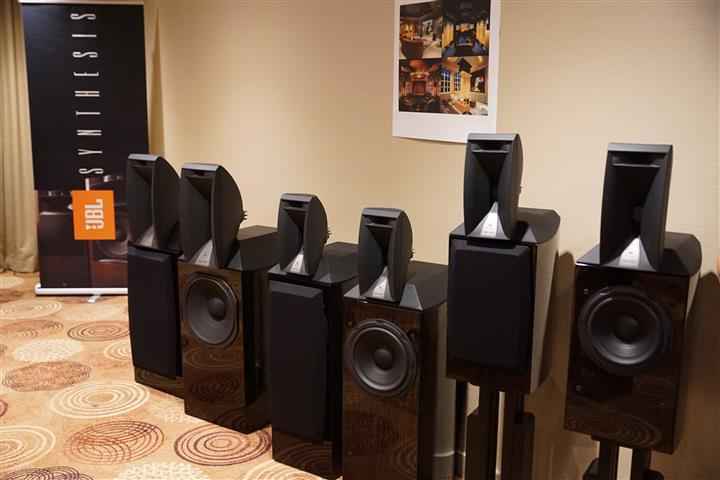 Erikson Consumer, the distributor for JBL, Mark Levinson, Arcam, Revel and a number of other brands had two large rooms at the show. 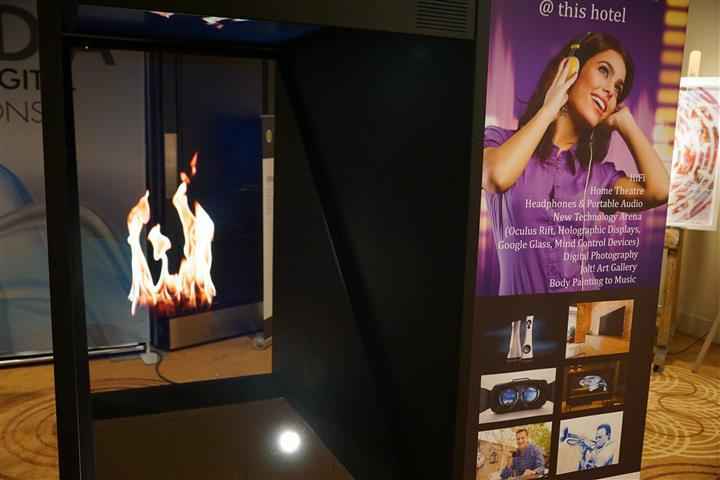 The first room featured Arcam and Revel products. 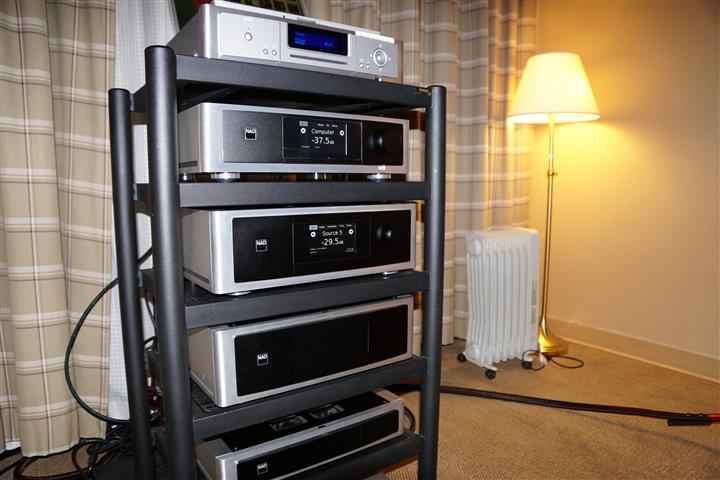 The featured system was comprised of Revel Studio 2 loudspeakers ($20,000) paired with all Arcam components, including the:D33 DAC ($3,600), C49 preamp ($5,000), P49 200 wpc power amplifier ($5,500) and the CDS27 CD-player/streamer. 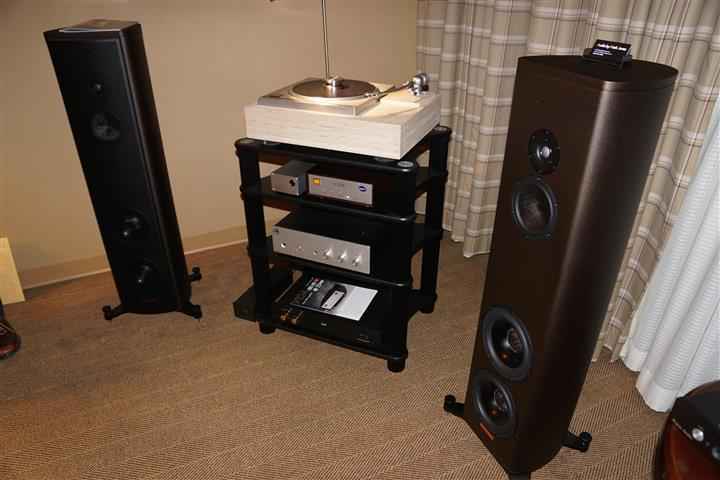 A second, more affordable system – under $5,000, within this room was comprised of an Arcam A19 integrated amplifier ($1,200) with Revel M106 bookshelf speakers ($2,400/pair) fed by an Arcam rBlink Bluetooth wireless receiver/DAC ($279) or alternatively, a Flexson Vinyl Play turntable with AudioTechnica cartridge ($700). 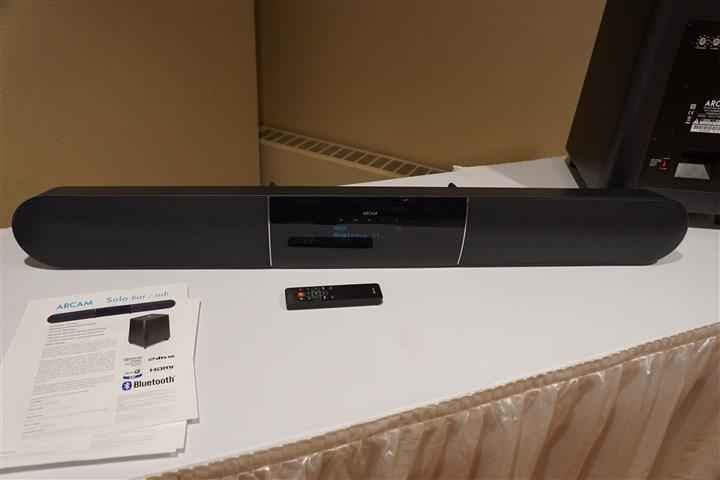 Erikson was also highlighting the first North American showing of the Arcam Solo soundbar and subwoofer with an estimated price of $2,300, to be available in November 2014. The Arcam Solo incorporates Bluetooth and aptX streaming, integrated amplification (100 watts + 300 watt sub), has four HDMI inputs and is controllable via a free iOS & Android app. 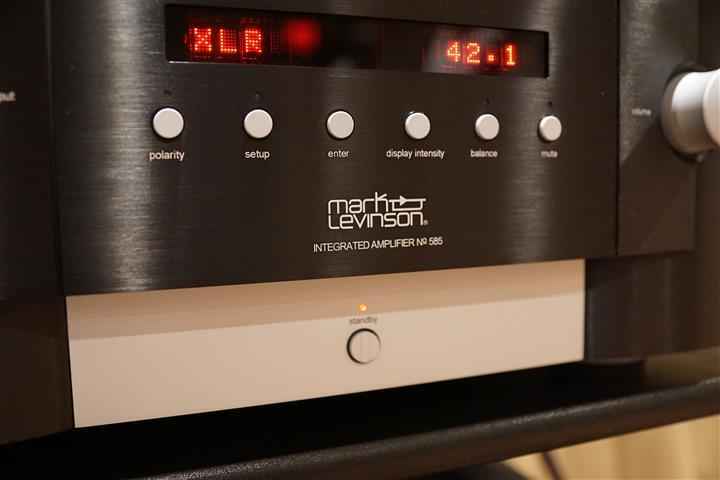 Moving to the JBL Synthesis / Mark Levinson room, I had the pleasure of experiencing a wonderfully dynamic and visceral music portrayal from the featured system. 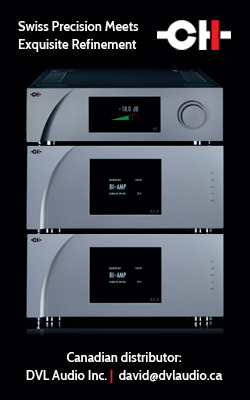 This system was made up of a Mark Levinson No. 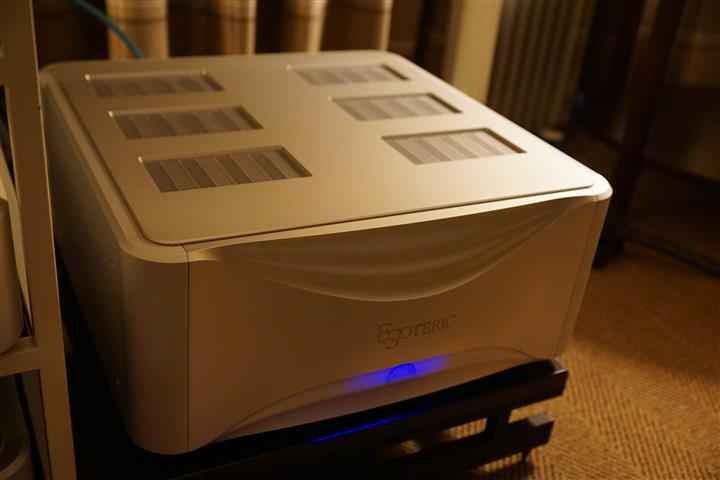 585 200wpc dual-mono 32-bit integrated amplifier ($14,000, 1st Canadian showing), paired with a Mark Levinson No. 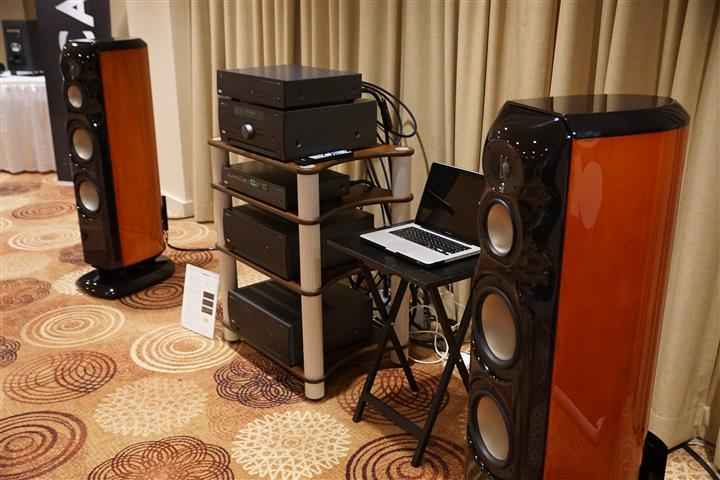 512 CD/SACD player ($19,000) and JBL Synthesis K2 S9900 horn loudspeakers ($48,000/pair), wired up with Acoustic Zen cabling. In addition to this, a lineup of the JBL Synthesis Array loudspeakers on static display were there for inspection, including the: 1000 Array, 800 Array and 880 Array models. 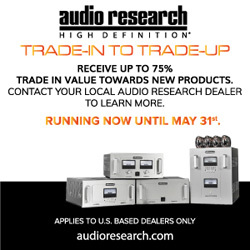 The dealer American Sound of Canada partnered up with Lenbrook, the distributor for NAD to put together an absolutely amazing sounding setup pairing NAD electronics with Focal loudspeakers and Audioquest cabling. 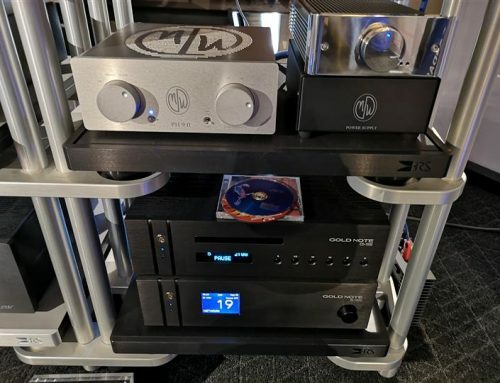 The system included the debut of two NAD products: the M12 Preamplifier/DAC 35-bit 844kHz ($4,200) and M22 hybrid-digital 250wpc / 600wpc (dynamic) amplifier ($3,500). 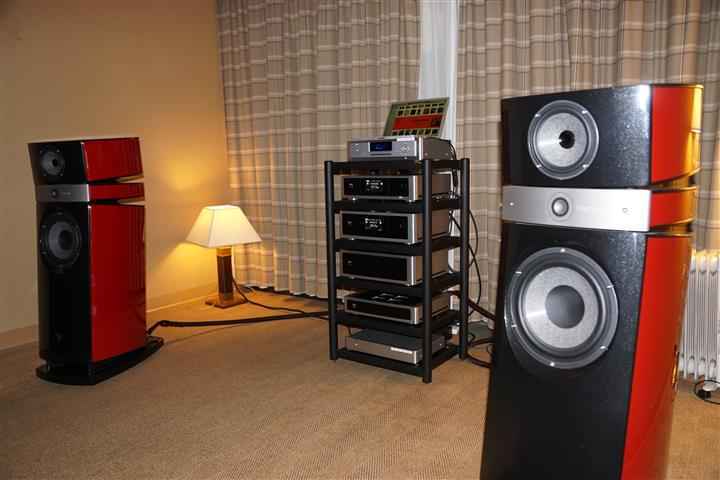 The source was the NAD M50 CD/digital player ($2,800) and loudspeakers were the delightful Focal Stella ($35,000/pair). The cable loom came from Audioquest, their Redwood series. 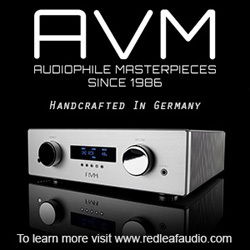 On static display from NAD were the M17 7.1 channel AVR/Pre-Pro ($6,500) and the AM27 7 channel amp ($4,800). 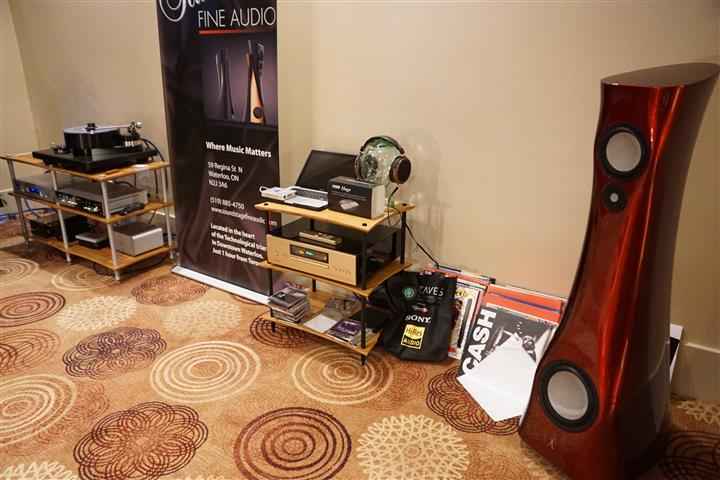 Angie’s Audio Corner, sister company of American Sound of Canada was next door and was showing the Sonus faber Lilium ($75,000/pair) with a full stack of Estoteric components with a total price of approximately ($145,000), which included: the C-03 preamplifier, P-02 transport, Grandioso D1 monoblock DACs and Grandioso M1 monoblock amplifiers – delivering 300wpc into 8 ohms and doubling down to 4 ohms. 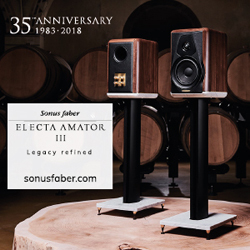 The Sonus faber Lilium loudspeakers are works of art – both in their aesthetics and in their sound. 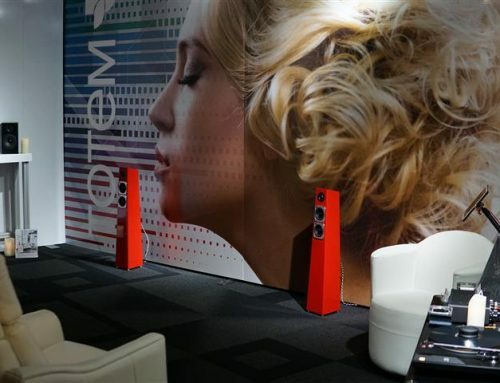 Update TV & Stereo delivered two rooms at the show, both with two-channel setups. 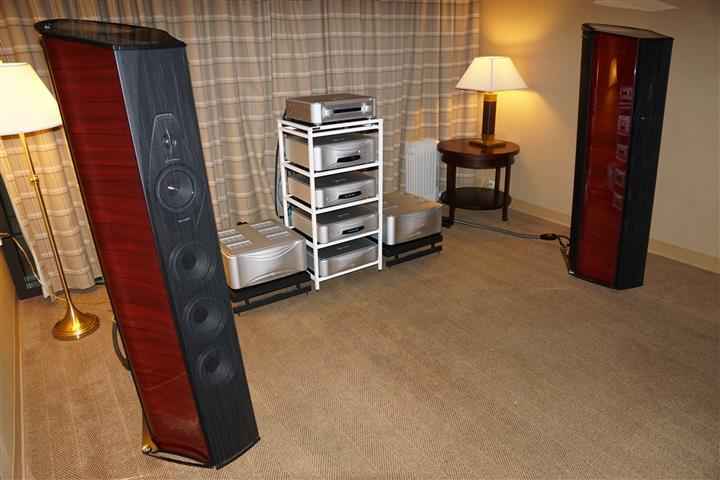 The first room featured the System Audio (SA) Pandion 2 compact loudspeakers ($5,999/pair) powered by ModWright KWA 150 amplifiers ($9999/each). 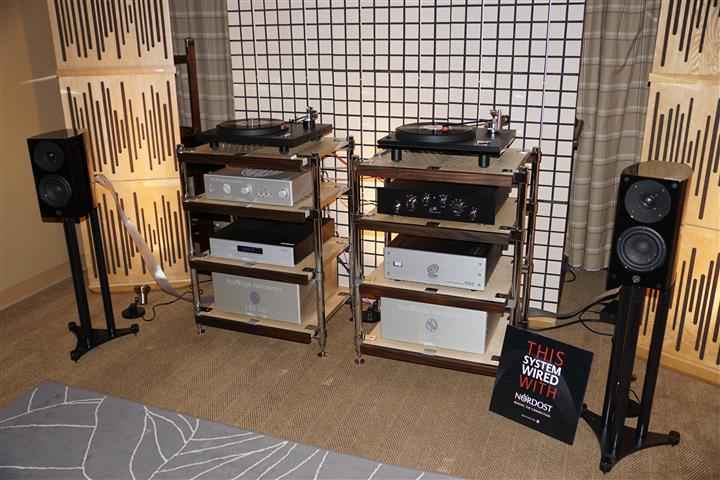 Two different preamplifiers were being demonstrated: a ModWright LS 36.5 preamplifier ($6,300) and an Audio Exclusiv P2 ($7,950). The digital source was an Aesthetix Romulus CDP ($8,300) and analog sources were a Well Tempered Amadeus G.T.A. 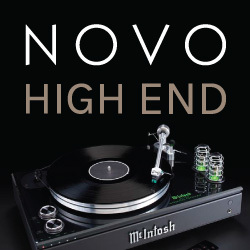 MkII turntable ($5,583) with a Chrisma Audio MC-1 cartridge ($1,095) and alternatively a Well Tempered Amadeus MkII turntable ($3,278) with a Chrisma Audio Reference One MC cartridge ($2,175). All components were sitting on Codia Acoustic Design Stage 3000 racks ($4,660) and wired up with Nordost Frey2 loom. The sound was detailed, rich and smooth. 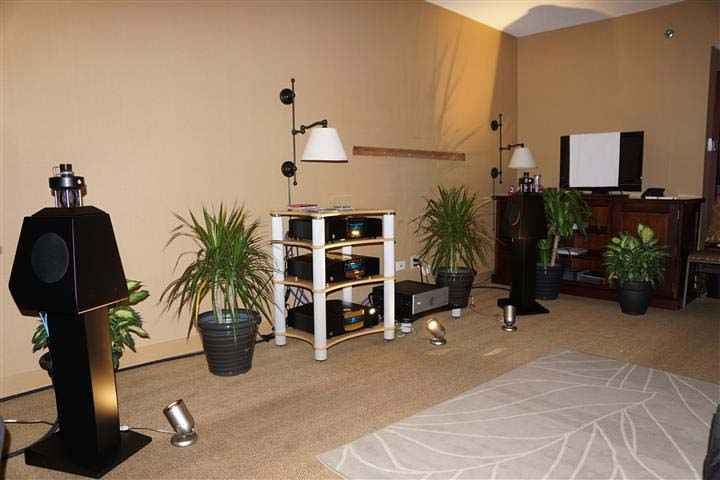 The second room that Update TV & Stereo was hosting included a full MBL Corona Line system, comprised of the MBL Radialstrahler 126 standmount loudspeakers ($15,000/pair), MBL C31 CD player ($11,000), C11 preamplier ($10,000) and C21 power amplifier ($12,500). Cabling was a Siltech 770 series loom, totaling $10,000. This room in regular MBL fashion had wonderful three-dimensional imaging. 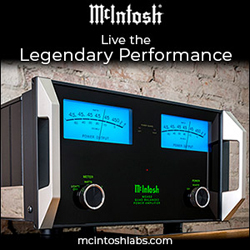 MBL loudspeakers generate an immersive soundstage and lifelike sound with the best that I’ve heard and unlike anything I’ve heard. The Corona line, though entry-level for MBL, did not disappoint. 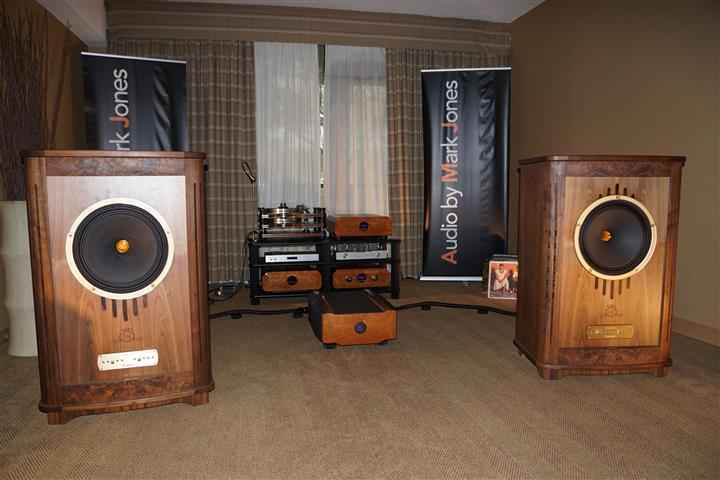 A relatively new Toronto-based dealer, Audio by Mark Jones, had two rooms at TAVES. The first showcased Canadian made Tenor components. The system was made up of a Kronos Audio 031/250 turntable with Black Beauty tonearm ($40,000) and Ikeda cartridge ($10,000) as the analog source, with a Bryston BDP-2 as a digital source. 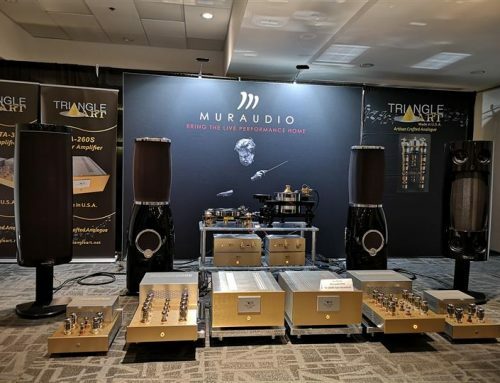 The phonostage was a Tenor Phono One ($50,000) running through a Tenor Line 1 Power 1 dual-chassis preamplifier ($100,000) into a Tenor 175S stereo hybrid amplifier $55,000, powering Tannoy Prestige Canterbury GR loudspeakers. Cabling in this system was all Kimber Kable Select. The music was effortless with glorious tonal colour. I was amazed at just how quiet the analog rig was. Though the room seemed to work for the system, I would expect such a system would have really showed its chops in a room twice the size. 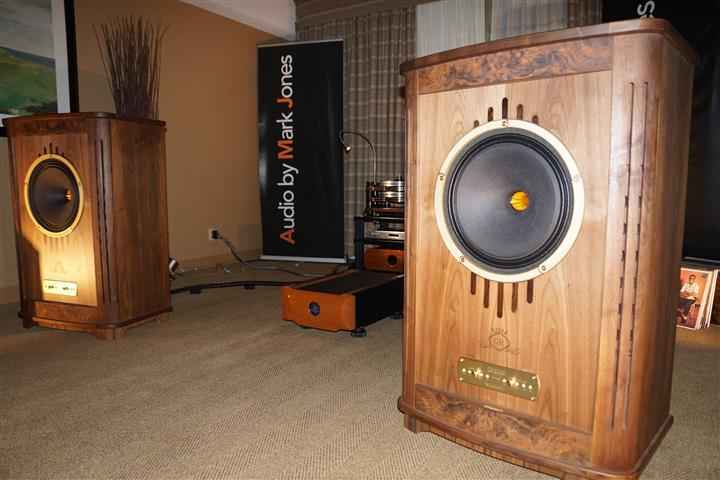 In an adjacent room, Audio by Mark Jones had a number of Allnic products on static display, along with an active Allnic powered headphone rig. 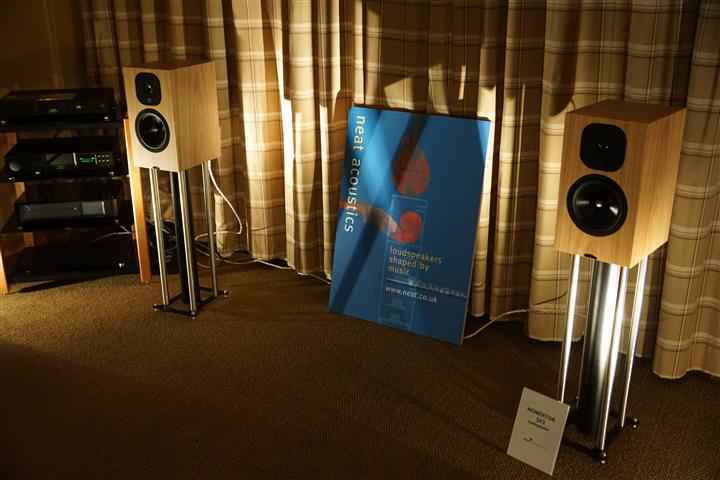 A static display of a pair of bronze finished Magico S3 loudspeakers ($22,600/pair), had me salivating but sadly, they could not be heard. Elunevision is not a name I had known before the show but as it turns out, the company is a screen manufacturer based out of Hamilton, Ontario and owns a retail arm named Eastporters. 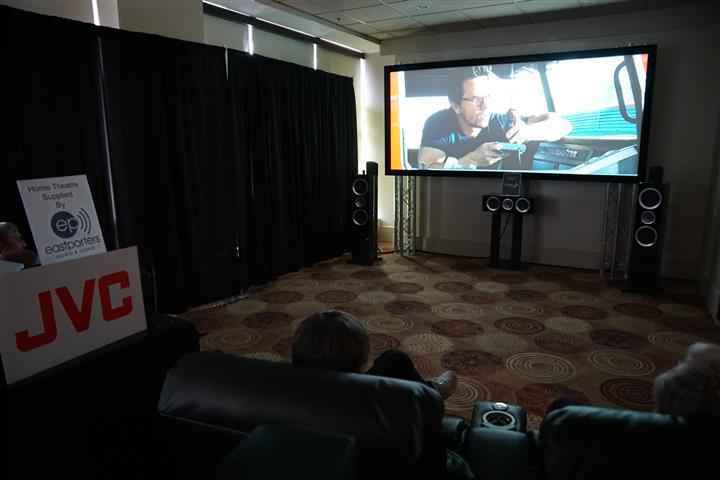 Elunevision was taking the opportunity to demonstrate their Reference 4K Pure Bright 2.4 gain 2.35:1 130″ screen ($2,000) with a JVC X500 projector ($5,000) – theatre seating and KEF loudspeakers completed the system. On demo, while I was in the room was the latest of the Transformers movies that served up some very impressive images and sound that had my attention kept. Elunevision produces a full line of both manual and motorized screens from 55″ to 300″. JVC had their own room at the show, which paralleled the Elunevision room, in that this room also had an Elunevision screen with a JVC projector. 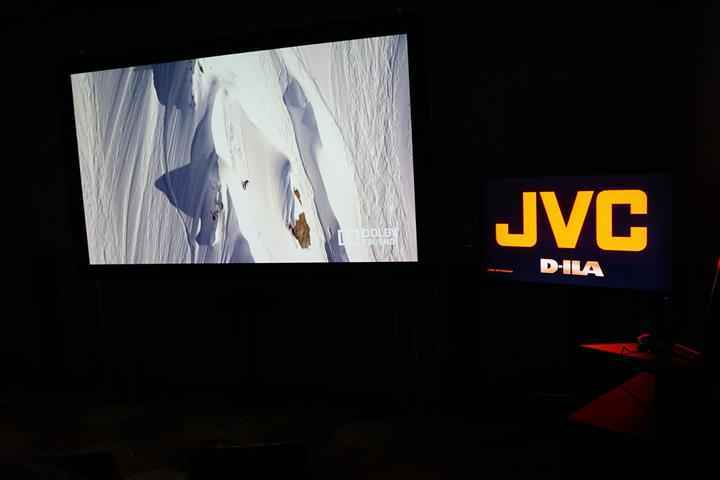 Here on active demonstration was the JVC D-ILA RS6710 Reference Series projector ($5,000 to $12,500 depending on model), paired up with an Elunevsion 105″ 1.0 gain 4K Reference screen ($1,000). 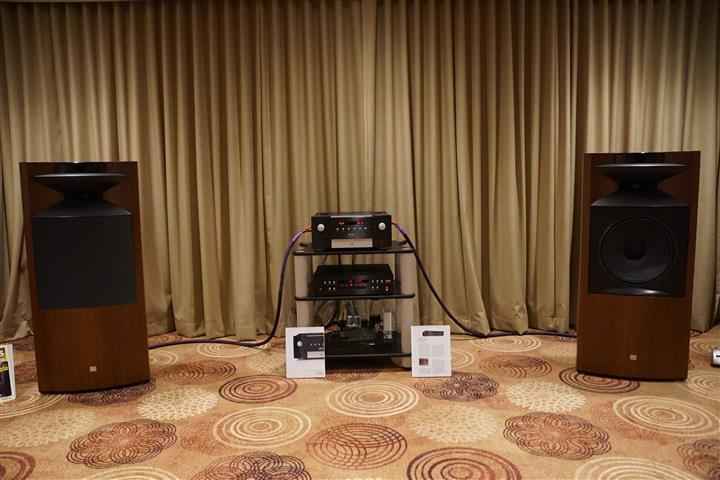 The sound was delivered by JVC loudspeakers, a 5.1 setup using their SX WD10 towers and a SX DWS5CDM centre with matching subwoofer ($5,000 to $7,000). Interestingly enough, the cones in these speakers are made of wood, soaked in Sake. 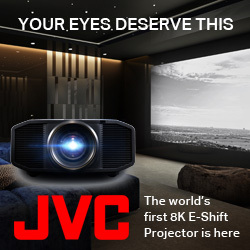 The JVC D-ILA projector upscales incoming images to 4K via an integrated E-Shift 3 upscaler. The images looked wonderful and had me thinking that I need to put a projector on my wish list for 2015. Sharp’s audio visual, a national commercial AV integrator had a booth displaying the new SMART kapp interactive whiteboard product. Pricing of the digital white board is $999 or $1,200 with delivery and setup by Sharp’s. In addition to this, Sharp’s demonstrated the Smart Board 8055i 55″ 1080p HD interactive digital whiteboard display ($5,999). This product comes loaded with Meeting Pro or Notebook software and with an additional licensed Bridgit software can offer connection of boards in different locations via internet for collaborative real-time applications. 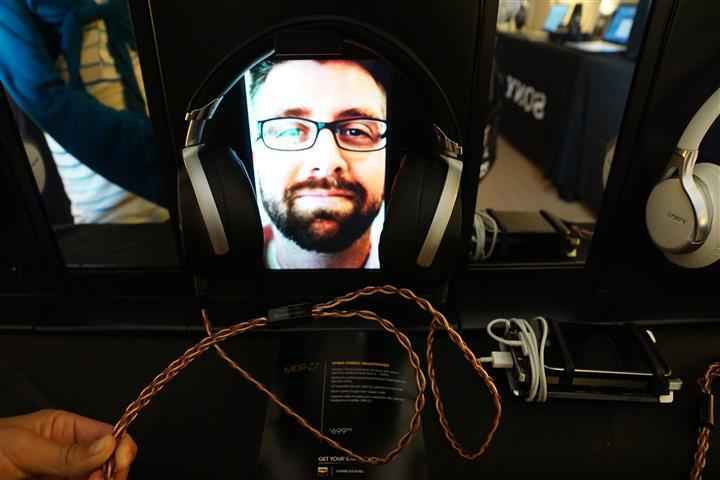 SMART also offers SRS for Lync, which is a Lync based alternative to video conferencing. 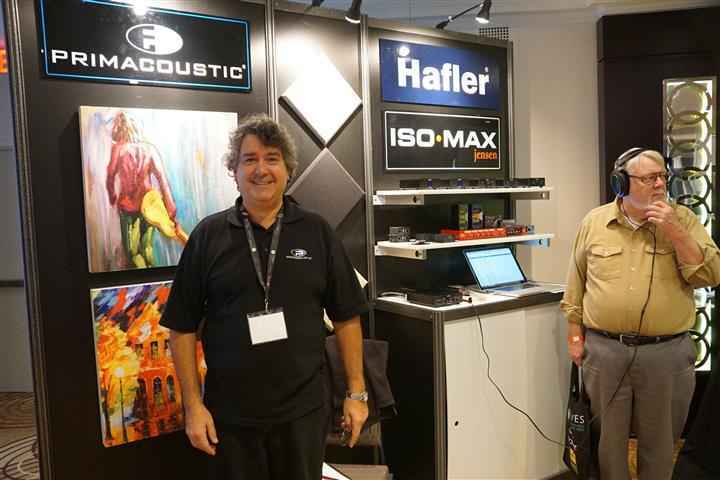 Was TAVES 2014 a success? That would be an understatement – I’d say more of a smash hit. I expect TAVES has now crossed the point of proving itself a viable show in the North Amercian market and is well on its way of being among the top shows in North America, of its kind. If you were there, you know what I mean, if you weren’t, well there will definitely be next year. 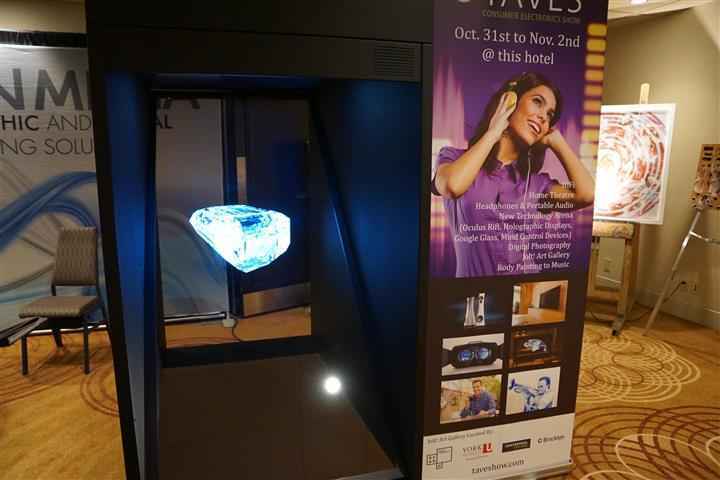 Despite my rather lengthy coverage of TAVES 2014, I barely scratched the surface. 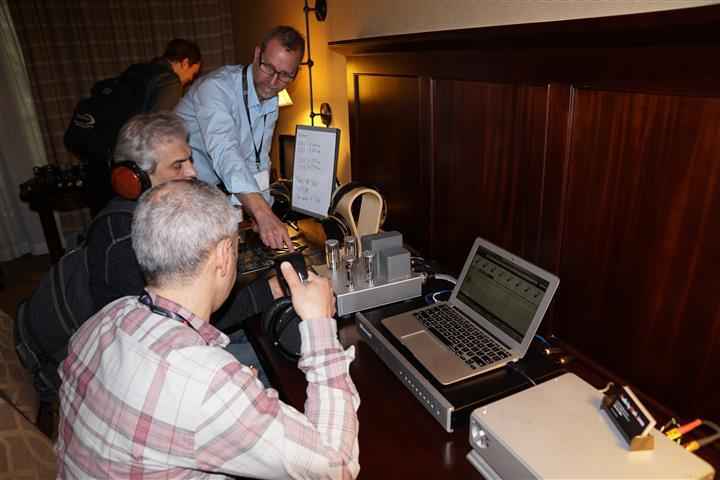 Look for more coverage from a couple of my fellow contributors: Phil Gold and Gaelen Andrews on the CANADA HiFi website.